The resolution moved by Union Minister Nitin Gadkari stressed on electoral choice for people between "Mazboot or Mazboor (strong or weak)" government at the Centre. NEW DELHI: The BJP has vowed to seize electoral narrative and set agenda for the Lok Sabha elections, with the national convention of the saffron outfit adopting a political resolution which singled out leadership to be the top plank for the polls. The resolution moved by Union Minister Nitin Gadkari stressed on electoral choice for people between "Mazboot or Mazboor (strong or weak)" government at the Centre. Moving the political resolution in the concluding session of the national convention of the BJP at the Ramlila Ground, Union Minister Nitin Gadkari argued that Samajwadi Party (SP) and Bahujan Samajwadi Party (BSP) are coming together in Uttar Pradesh due to fears of BJP's might. 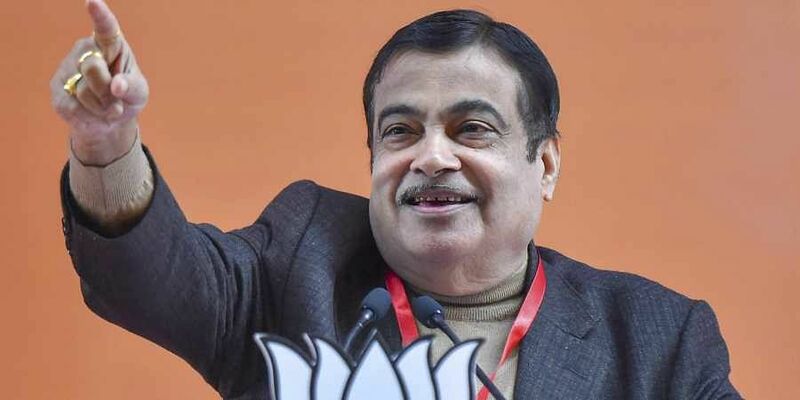 "Even after their alliance, we will trounce them on the ground," Gadkari asserted while arguing that the BJP should be credited for old enemies joining hands. Taking part in the discussion on the political resolution, Union Finance Minister spelt out six planks for the BJP workers to hit the ground in the elections. "It's to the advantage of the BJP if Lok Sabha election is held on the plank of leadership. In Narendra Modi, the BJP has a decisive leadership against unknowns in the Opposition camp," Jaitely stressed while adding that the workers should take the statistics to engage people in conversations on the performance of the NDA government. Additionally, Jaitley said, the election time gives an opportunity to the BJP workers to raise core issue of the party, including measures against the practice of triple talaq and Ram temple, besides the party's ideology. "You (BJP workers) should set the electoral narrative and election agenda and struggle on the ground with statistics against grand-alliance, while reminding the deeds of governments headed by Choudhary Charan Singh, V P Singh, H D Deve Gowda, and I K Gujaral," said Jaitley. Lastly, the minister said that Lok Sabha elections would be a test of organisational strength. Union Minister Ravi Shankar Prasad, who drafted the political resolution, stressed on "Mazboot versus Mazboor" government at the Centre while noting that the people have rejected weak choices. The political resolution also summed up the report card of the Modi government at the Centre, while listing out achievements in all sectors, including employment generation. "A total of 15.26 crore small and very small businesses have got Rs 7.29 lakh crore of loans, including 50 per cent first-timers, which created employment opportunities for crores of people," the resolution noted. Taking part in the discussion, Uttar Pradesh chief minister Yogi Adityanath claimed that "opportunistic and casteist" parties are forming alliances to stop the good work being done by the BJP government in the state.